What you feed your dog determines how healthy it will be. High-quality food containing all the essential nutrients that your dog needs is key for good growth and to maintain his health or wellness. People who love their dog feed their dog good food, but many people do not know the nutritional requirements for dogs of different breeds are quite different. 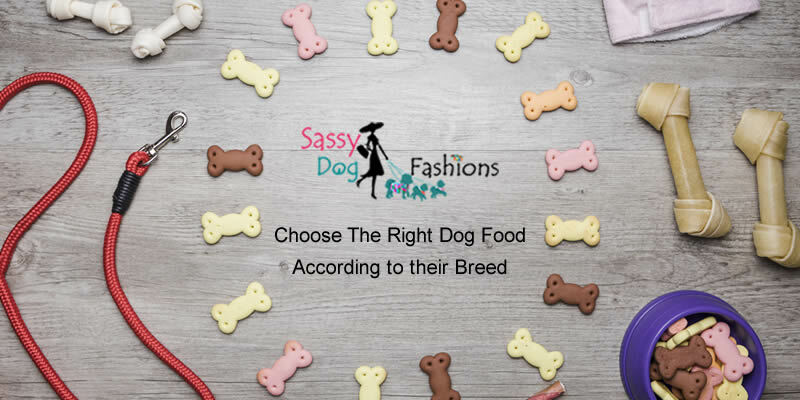 in this post, we’ll discuss how you can choose the right dog food depending on their breed. A large-breed dog and a very active dog need more calories than a dog who is not a large breed dog or a dog who is not very active. There are a lot of dog breeds out there and the only similarity dogs of different breeds have is that they are all dogs; every other thing about them is different: they are different in color, height, hairiness, size, length, temperament, and sound. However, because differences in the nutritional requirement for dogs of different breeds are not as obvious as the other differences, people do not see it as a thing to consider. This is true to some extent because of the basic nutritional requirement for all dogs is the same; however, there are some differences that are worthy of note. Although dogs need fat for energy, the major nutrition their body needs to survive is from animal-protein (poultry, eggs, fish, and meat); this is because dogs evolved from the Wild Wolf. Dogs do not have a specific requirement for carbohydrate; feeding them carbohydrate (plant products) can be detrimental to their health. They can derive most of their nutrition from animal-based products. An adult dog needs a diet containing at least 18 percent protein and puppies need at least 22 percent protein. For small-breed and working breed dogs, fat plays a particularly important role because it supplies the high energy (calories) that they need. They may also need protein to maintain their lean muscle mass. 1. Dogs that are very active like the Australian Shepherds need a high-protein and high-calorie diet, for example, they need foods that are 30 percent protein and 12 percent fat. 2. Dogs that lie down all day do not need as much protein and calorie as the dogs that are very active. 3. Large-breed dogs need less calories than small-breed dogs. 5. Some breeds have food allergies so you should avoid feeding them any food they are allergic to. For example, the Labradoodle is a cross between the Labrador Retriever and the poodle, both of which have a high risk for food allergies. You should not feed your labradoodle foods made with corn, soy, and wheat; it is advisable to feed them grain-free foods.